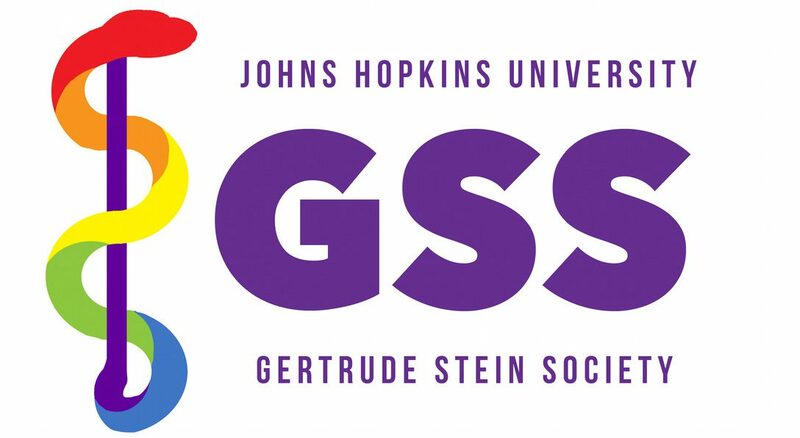 The Gertrude Stein Society is the student-led organization for lesbian, gay, bisexual, transgender, queer, and allied members of the Johns Hopkins Medical Institutions, including the Schools of Nursing, Public Health, and Medicine. Gertrude Stein, the well known lesbian writer and intellectual, was a medical student at Johns Hopkins near the turn of the century, and GSS seeks to maintain her legacy of active LGBTQ+ presence and involvement in the affairs of JHMI today. We are dedicated to maintaining and developing an even more accepting environment for diversity at the Johns Hopkins Medical Institutions. GSS membership is open to all members of the Johns Hopkins Medical Institutions, including students, faculty, and staff. Please email us at gss@jhmi.edu if you would like to join, and you can like our Facebook page as well!